Our team has literally been working around the clock and we’re thrilled to be able to finally launch the new Kinsta, along with new features! We have a fresh new look, website, new content, and logo. Based on user feedback, we’ve added entry-tier plans starting at $30/month and switched to a visitor-based pricing model to make things easier and less confusing when choosing your hosting plan. We’ve also partnered up with KeyCDN, a fast HTTP/2 content delivery network (CDN), to turbocharge your assets and media around the globe. And finally, the Google Cloud Data Center in Mumbai, India is now available for hosting your sites. Read more about all these exciting changes below. 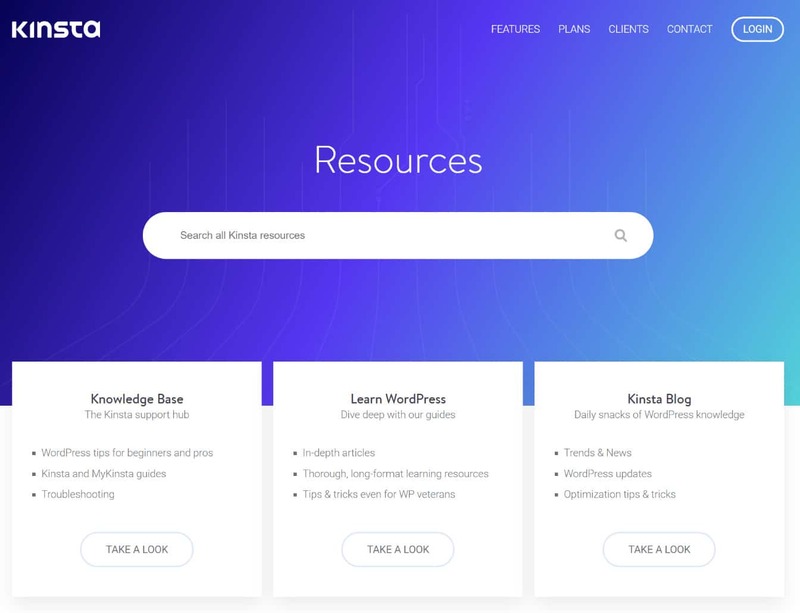 You might have already noticed, but Kinsta has a fresh new look! We’ve redesigned our site from the ground up, including a new logo, layout, color scheme, and simplified navigation. Feel free to take a look around. Beyond the redesign, we’ve also built out new pages based on user feedback we’ve received over the past few years. Many of you have asked to know more about how our infrastructure works. Therefore, we now have an additional content which covers these topics in more depth. 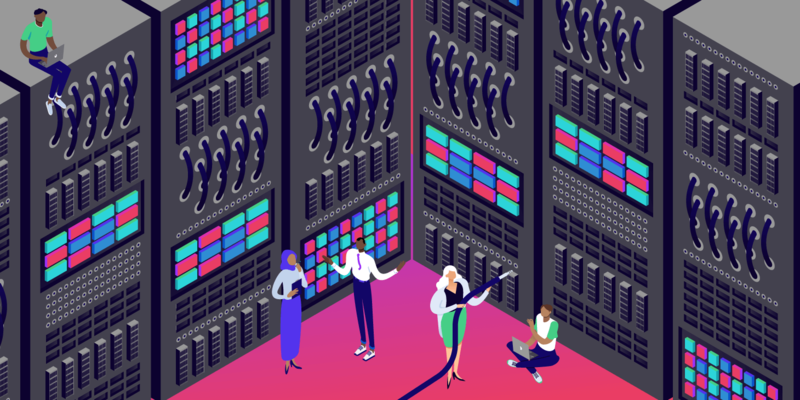 Such as how Kinsta scaling works, information about our hardware and software stack, details on server-level caching, PHP workers, etc. Check out our advanced features page. 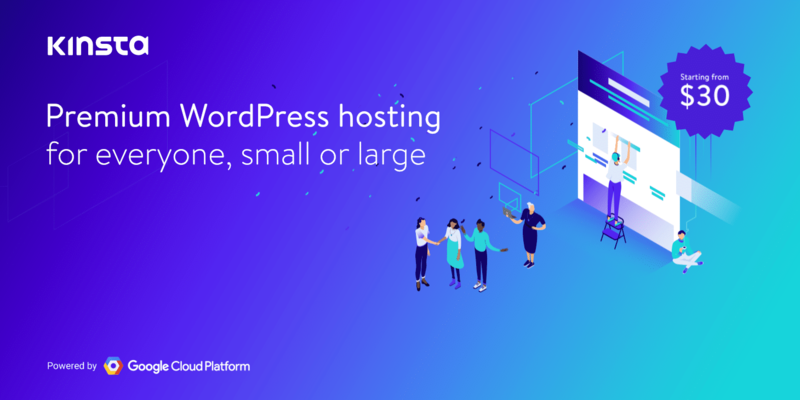 We’re always trying to provide the best content on the web when it comes to learning about WordPress and how you can use it to scale your business. Because of this, we built an entirely new resources section which includes universal search across all of our blog posts, Knowledge Base articles, and learn tutorials. Now you can quickly find articles, no matter where they are located on the site. The search can also be found at the top of every blog post and Knowledge Base article. Did you know that the Kinsta team is scattered all across the globe? Feel free to poke around our new about us and careers pages to get to know us a little better. Amidst the coding sessions and client migrations, we know when to have fun too! From nerf wars to setting a new scooter lap record in the office, there’s never a dull moment at Kinsta. Some of you might have already noticed, but the MyKinsta dashboard is also getting a refresh to match our new color scheme and branding. We’ve heard your feedback over the past couple years and are excited to announce the launch of our entry-tier plans, starting at $30/month and $60/month. 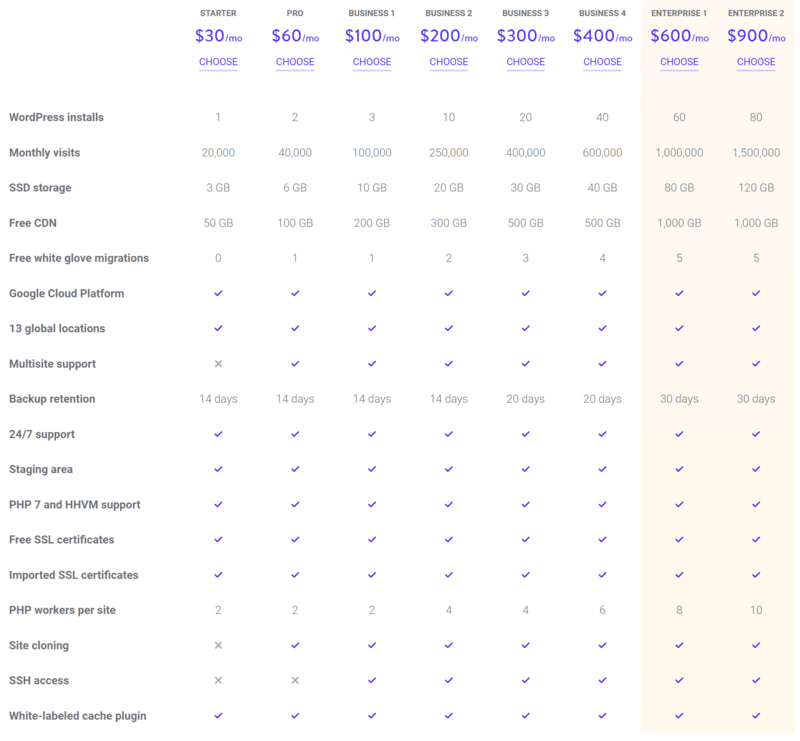 The new plans represent an extension of our pricing structure to make Kinsta accessible to a larger number of users. 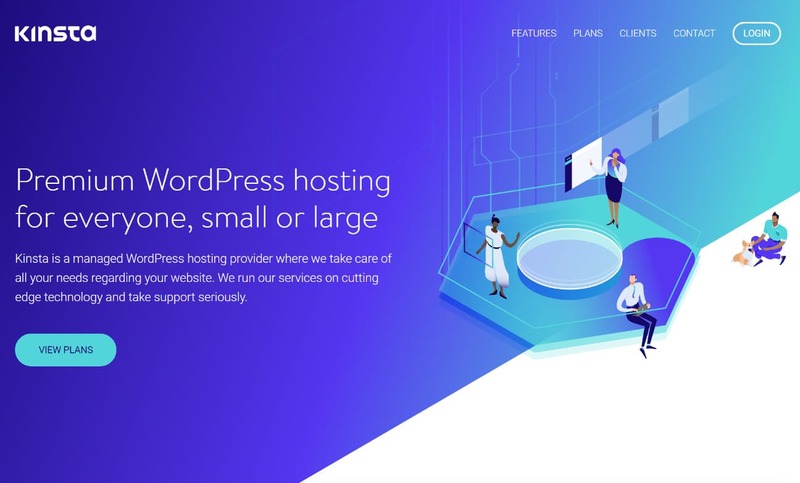 Kinsta has always been a go-to solution for businesses and professional developers, but we haven’t offered plans geared towards new WordPress users, small businesses, bloggers, or authors. Our new plans aim to change that. We’ll still be the go-to solution for businesses and developers, but the new plans will make it possible for new users who are just getting started to enjoy the power of Kinsta’s platform and tools on plans with allocations suited to their needs. To all our loyal clients we offer the choice of staying on your original plan or you can move to a new one – whichever suits your needs better. If you’d like to change, feel free to contact our team to assist you. Check out our new plans. Not only are we introducing entry-tier plans, but we have changed our pricing model from bandwidth to visitor-based. The primary reason for doing this is because the bandwidth-based pricing model was simply too confusing for clients. First of all, many didn’t know how to quickly look up this information. Secondly, many of our clients also utilize a CDN, so there was then the issue of determining your remaining bandwidth needs after using a CDN. All of this just wound up being too complicated, even for larger enterprise clients. That and the fact that many other hosting companies don’t measure bandwidth, which is kind of ironic, as bandwidth usage can directly correlate in helping to troubleshoot performance on your WordPress site. 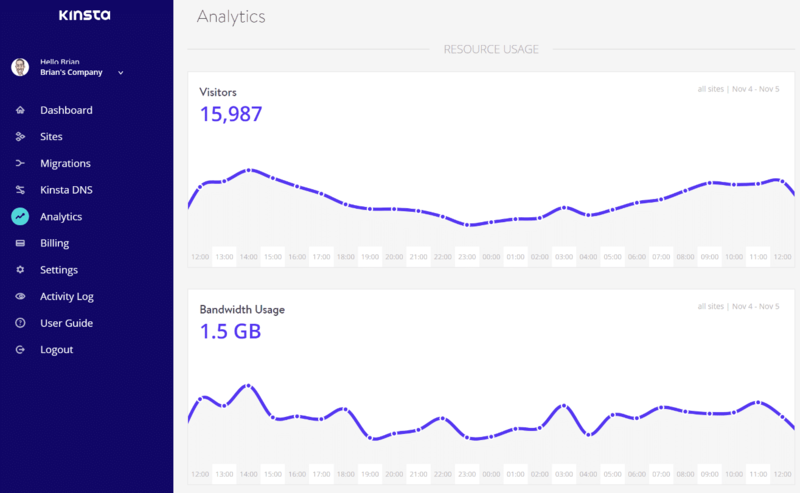 That is why the bandwidth usage, along with visitor data, will always be available within the MyKinsta analytics reports. Read more about how Kinsta counts visitors and changes regarding legacy plans. 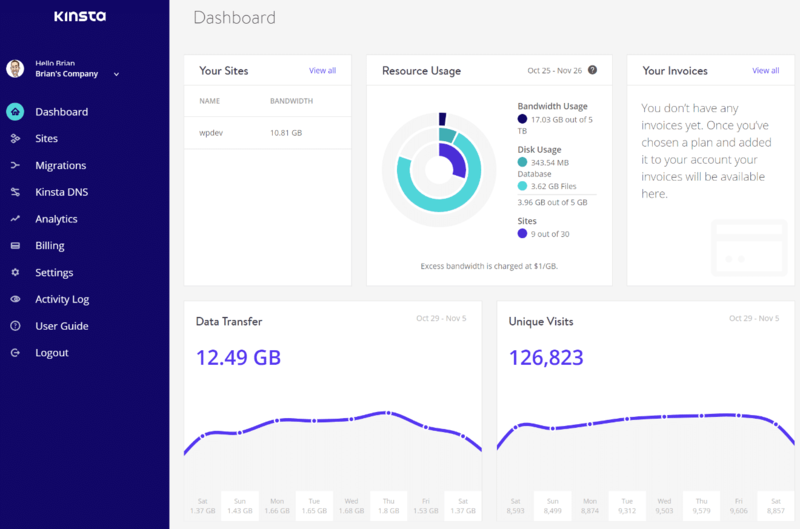 Again, current clients can remain on their bandwidth-model plans and still upgrade and or downgrade between them within the MyKinsta dashboard. Businesses all around the globe have chosen to host with Kinsta, not because we billed based on bandwidth, but because we have a great reputation in the industry. We’ve always utilized the latest and greatest technology and offered world-class expert support. We try to let us our client feedback speak for itself. The performance of your WordPress sites has and always will remain one of the top priorities for us. Because of that, we have partnered up with KeyCDN, a content delivery network, to turbocharge your assets around the globe. A big reason we chose KeyCDN over Google Cloud CDN, is because their mission closely aligns with that of ours here at Kinsta. KeyCDN is non-federated and was one of the first CDN providers in the industry to launch HTTP/2 support, free SSL with Let’s Encrypt, and many other features. They are always proactive about ensuring they use the latest and greatest technology, just as we are. Google Cloud CDN is still in its infancy, whereas KeyCDN has a long history of providing reliable content delivery services. They’re also technically a reverse proxy (requiring you to point DNS, etc), which operates a little differently than a typical pull CDN and can make things more complicated, especially if you wanted to continue using them down the road if you switch hosting providers. Price was another factor. In some countries Google Cloud CDN charges 4x what KeyCDN does. By choosing a CDN partner with more cost-effective rates (and yet one that doesn’t sacrifice on performance), we’re able to pass these savings on to clients, and include a generous amount of bandwidth with each hosting plan. KeyCDN’s content delivery architecture was built from the ground up with a focus on high-performance, designed for high throughput and low latency. When enabled, your content will be delivered and cached from their 28+ POPs around the globe. They also automatically help protect against bad bots as well as check all the boxes when it comes to industry standards such as GZIP and HPACK compression. 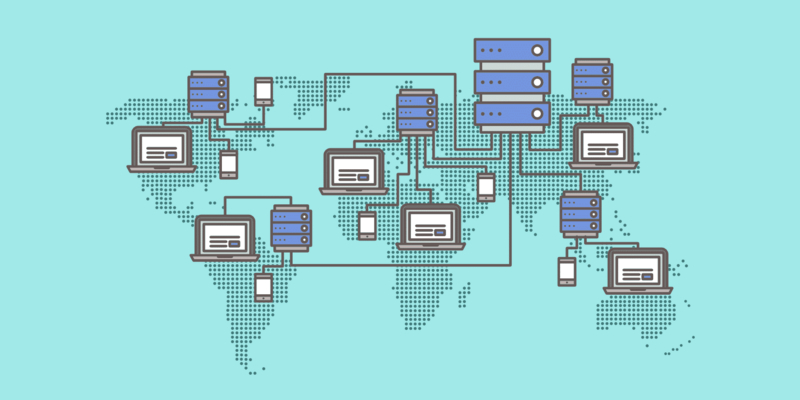 Check out our post on how a CDN works and why you should be using one. In our experience, a CDN typically can help offload 70% of bandwidth requests from your web host and in some cases reduce load times by up to 50%! The KeyCDN integration is now available in the MyKinsta dashboard, and just like with our other tools, it is a simple one-click process. Read how to enable the Kinsta CDN. This integration, of course, is optional. If you are already using another CDN solution such as Cloudflare, Sucuri, CloudFront, or StackPath, you can continue to do so, or switch over to our solution. The Data Center in India is Here! We always roll out new locations alongside Google Cloud Platform and are excited to announce that the data center in Mumbai, India is now available for hosting your WordPress sites. We know many of you have been waiting for this, and it’s finally here. 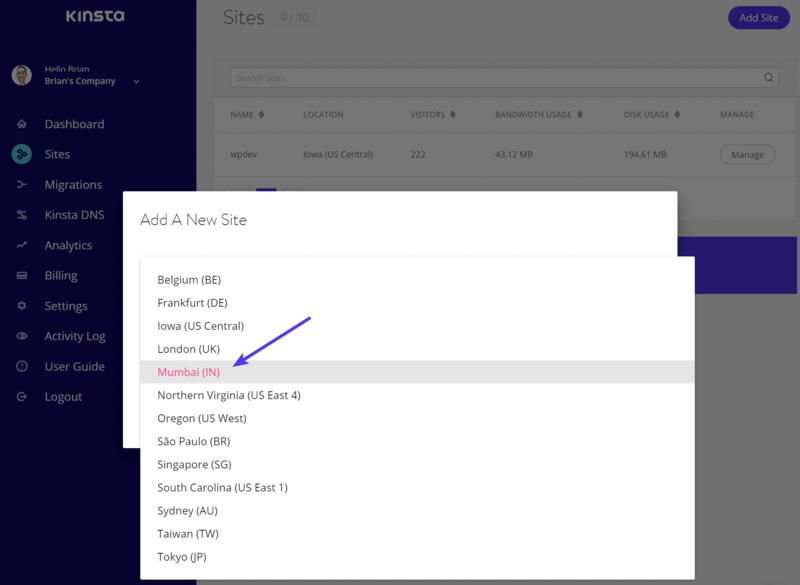 Kinsta now has 13 Google Cloud data centers you can choose from, allowing you to place your website in a geographical location closest to your visitors. This ensures low latency and blazing fast load times. According to Internet World Stats, India has over 462 million internet users. So for those of you who are primarily serving customers and visitors in this location, it can be an instant way to decrease network latency and your time to first byte (TTFB). Previously the closest available data centers were in Singapore and Taiwan. This location is now available from within the MyKinsta dashboard when you go to add a site. We hope you are as excited as we are about these new changes. Our new entry-tier plans will allow for more small businesses and bloggers to experience Kinsta. Choosing a hosting plan with us should now be much easier as you won’t have to figure out confusing bandwidth numbers on your host and CDN. The new KeyCDN integration should allow an additional, and in many cases, a free way to turbocharge our sites around the globe! 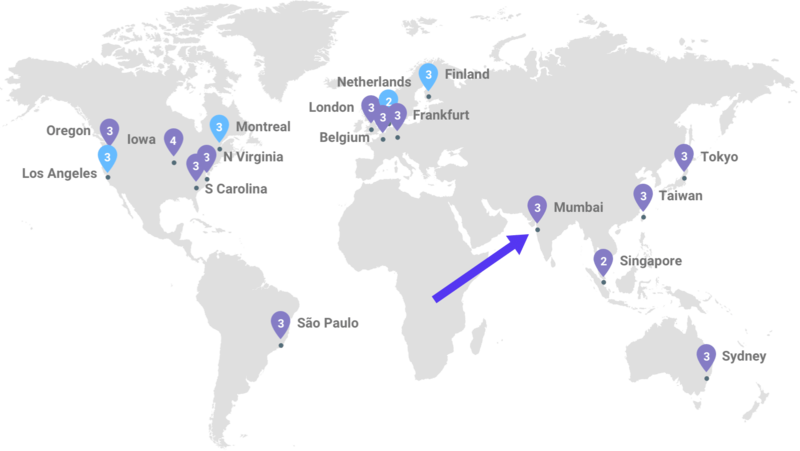 We are thrilled to now have a data center in India, expanding our global reach and ensuring low-latency for those of you serving customers in those areas. That’s enough feature updates for one week! Please bear with us as we work out the final kinks on our new website. As always, we welcome your feedback, both positive and negative. If you have any questions regarding these changes or new features, feel free to comment below, or contact us. I love the addition of hourly backups and being able to order Redis and ElasticPress. Just a shame that can’t have them on business plans (pretty please!) and have to be on an enterprise plan which isn’t otherwise warranted just yet. Hey Dale! Sorry our comment backlog got a little full :) But I can confirm that all 4 add-ons we list can be added on any Kinsta plan. Redis and Elasticsearch can be purchased for business plans. Thanks! The new entry-tier plans are great. Wish you and Kinsta all the best. PS. Needless to say, the redesign looks awesome as well.
? Hey, Mark/Tom/Brian & Team! First of all, congratulations on this huge milestone. I was just looking at the KeyCDN offering the other day and it’s refreshing to see that my host is going to offer that for free. I am excited about the small business tiers you guys have added and the ElasticSearch + Redis offering. That’s huge.
? Huge props to everyone making Kinsta better. Keep setting the bar high. P.S. One month into hosting with Kinsta and I have started to see traffic/SEO gains already. A case study is due; from me very soon. Awesome company! PS: I really enjoy the new site design! Just curious, why not using Google CDN since the server is already on the platform. Hey Sheng! We have added a more detailed explanation above. Basically KeyCDN has always been at the forefront in the industry as far as features/tech goes. We like that. They are also a lot more cost-effective (without sacrificing performance) which allows us to pass on the savings to clients by including CDN bandwidth with each hosting plan. Amazing design guys! Wondering why you guys use KeyCDN. You guys already in Google Cloud. 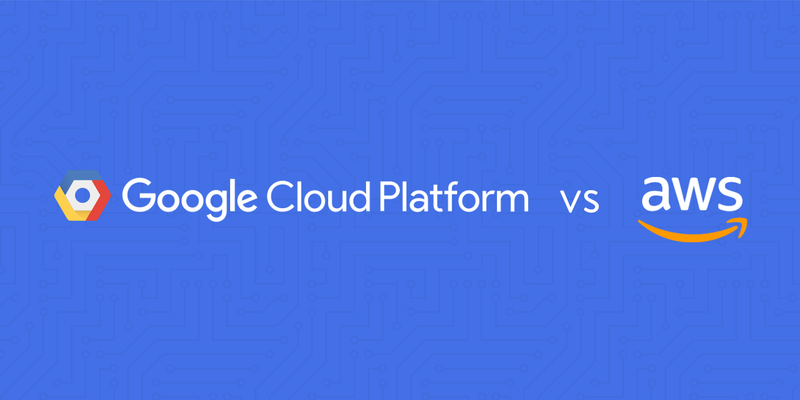 Why don’t you use Google Cloud CDN? Thanks Ganis! We have added a more detailed explanation above. Basically KeyCDN has always been at the forefront in the industry as far as features/tech goes. We like that. They are also a lot more cost-effective (without sacrificing performance) which allows us to pass on the savings to clients by including CDN bandwidth with each hosting plan. Thanks Brian for the reply and the explanation, much appreciated.